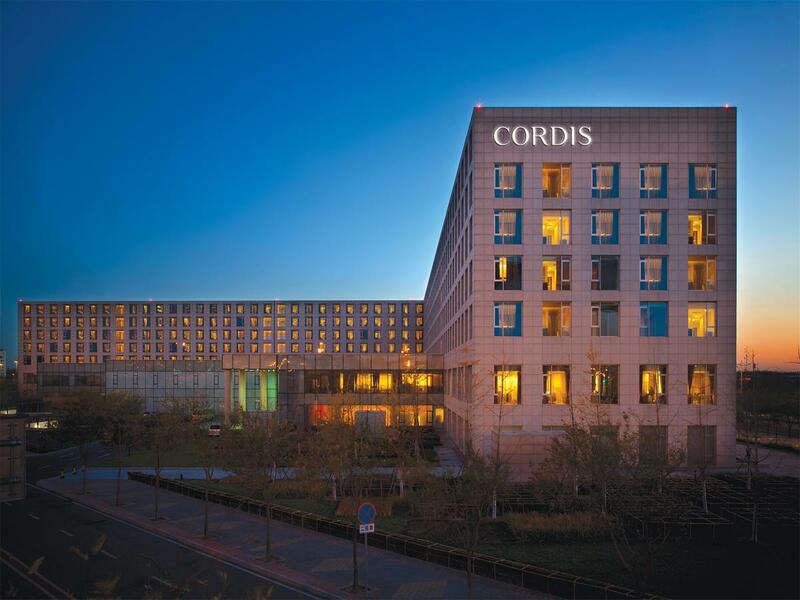 Cordis hotel at Beijing Capital Airport (formerly Langham Place) is located next to Terminal 3. The hotel is only 5 minutes away from the airport by complimentary shuttle bus service operating 24-hours a day. 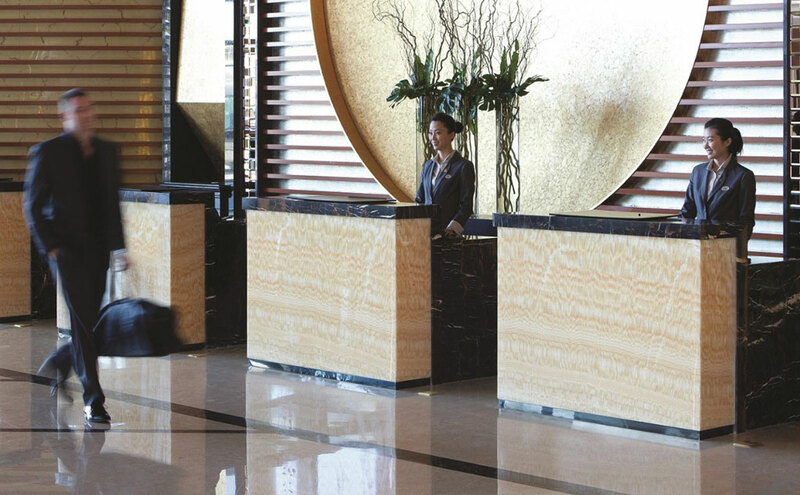 Featuring modern design interiors, chic spaces, luxurious accommodations and impeccable service, Cordis Beijing Capital Airport By Langham Hospitality Group is the 2011 & 2012 Award Winner of SKYTRAX Best Airport Hotel. The hotel offers free wifi in all areas. The hotel offers 372 spacious guest rooms and suites, including Essential Place (45 sq.m. ), Club Place (45 sq.m. ), Sweet Place (85 sq.m. ), Loft (140 sq.m. ), Townhouse (160 sq.m. ), and Penthouse (300 sq.m.). 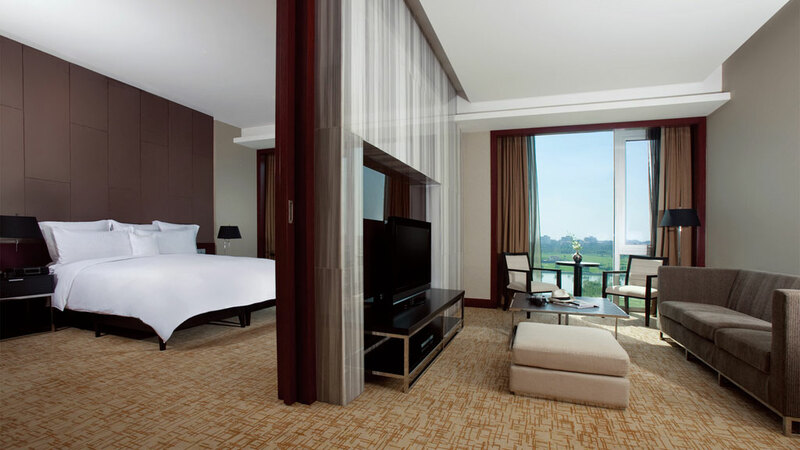 All rooms and suites are appointed with signature “Blissful Bed” and oversized bathrooms. Ming Court offers fan-favourite Cantonese dishes on the a-la-carte menu, and award-winning dishes inspired by its sister restaurant in Hong Kong. The Place is an international buffet restaurant open for breakfast, lunch and dinner. Fuel invites you to enjoy a delicious fusion of casual dining, cocktails and music. Indoor and outdoor seating is available. 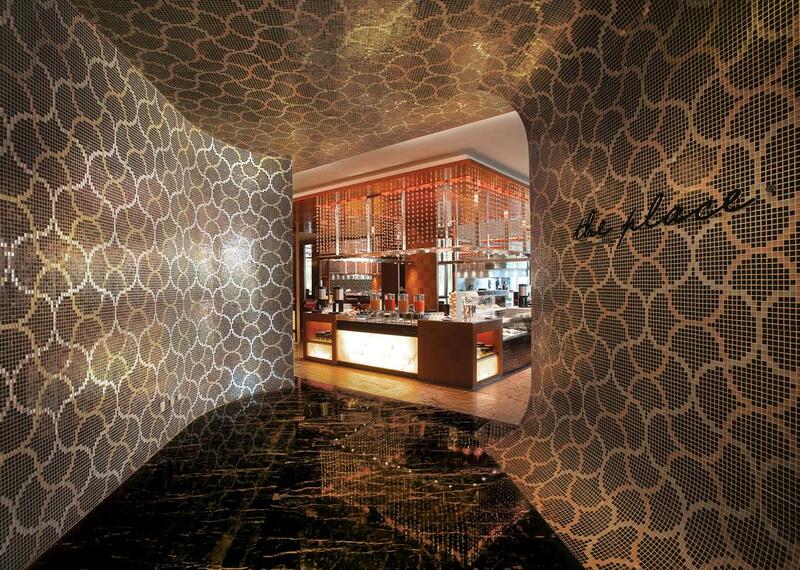 Portal – Work & Play offers the signature afternoon tea, cool cocktails and delicious tapas. A fitness center with state-of-the-art equipment for training and weightlifting, as well as a cardio studio are accessible to hotel guests. 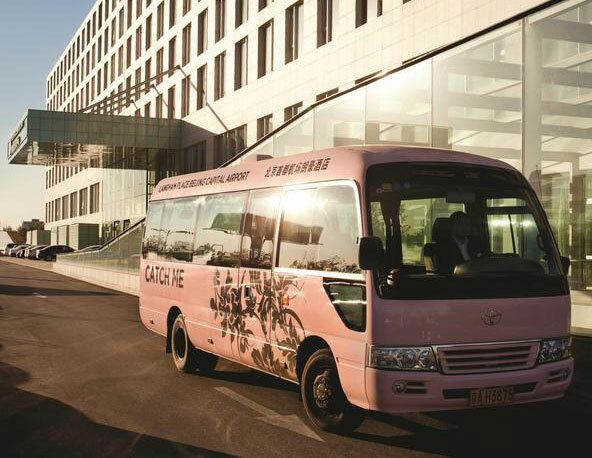 The hotel provides a 24-hour complimentary airport shuttle bus service to and from the airport. From Terminal 3: 2nd lane of Gate No. 5 on the ground floor. Every 20 min (:00, :20, :40). From Terminal 1 and 2: Gate No. 3 on the ground floor of T2. Every 30 min (:00, :30).